Probably my favorite part about being a wedding photographer is shooting the dances. The first dance and the father/daughter dance pretty much turn me into a leaky faucet. Camylle & Arthur's wedding was no exception to that. What is it about the father/daughter photos that get me every time? Well, for one, I was raised in a family as the only daughter with 5 brothers. My dad was pretty much my hero. I loved spending time with him. We still love spending time together all these years later. Anyway, I love seeing sweet fathers and daughters who have a strong bond. I also have 3 daughters. Watching my husband interact with those little girls is precious time to me. Seriously, the father/daughter relationship should be the 2nd sweetest relationship a girl has with a man (the first being the one with her husband.) Fast forward to this wedding... Camylle and her dad, from the outside looking in, had one of those special bonds that only dads and daughers can have. Their dance together was full of tears, from many different sources. When Arthur came over to cut in and steal away the bride from her daddy, it appeared to be a reluctant giveaway. 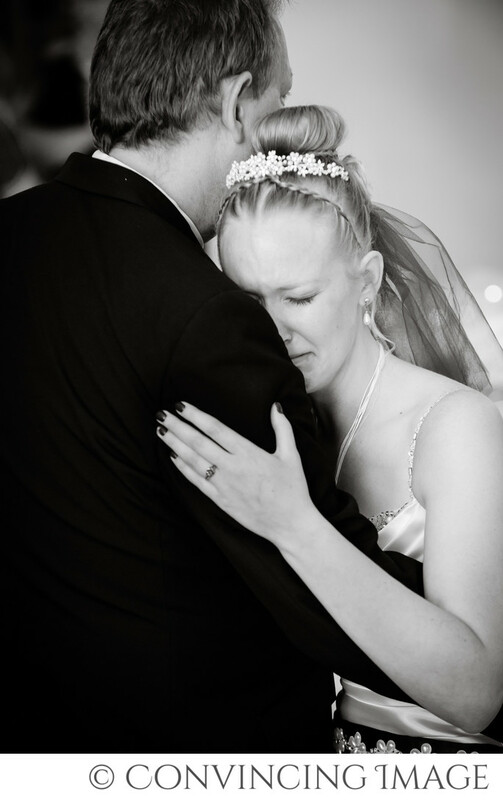 But nonetheless, it happened and dad walked off the dance floor to wipe away the giant tears streaming down his face, which then meant the rest of us had to wipe away our tears too. Don't forget to bring your tissues to the dancing portion of a wedding. It gets me every time.